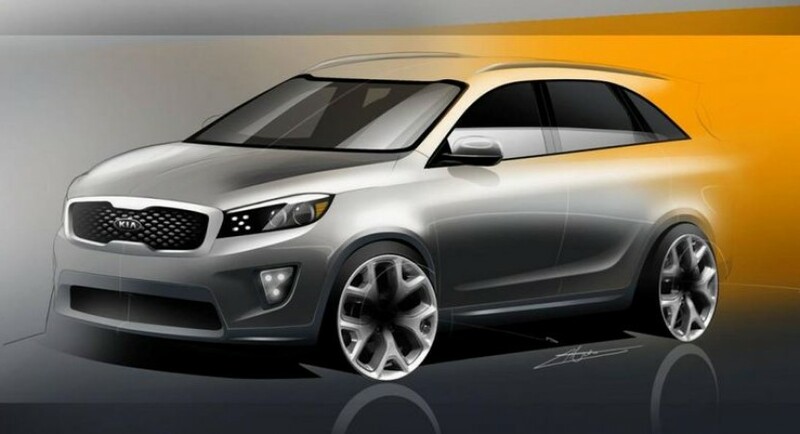 The new Kia Sorento is expected to debut this fall in South Korea, therefore, new details are emerging as the release date gets closer. These two sketches seem to be quite authentic and let us get a closer look at the upcoming crossover. At the exterior, buyers will get a new front grille, restyled bumpers, new alloy wheels, a sloping roofline and sweptback optical blocks. 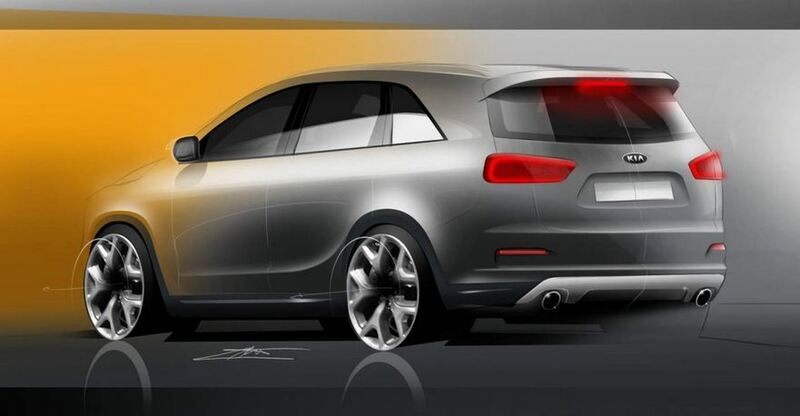 The revised tailgate, dual-pipe exhaust and rear spoiler complete the exterior tweaks. Interior photos or renderings were not released but we expect small design changes as well as revised materials. Under the hood expect to see a new 2.0-liter turbocharged engine as well as a more powerful 3.3-liter V6 and a 2.2-liter fuel-efficient diesel powerplant. Pricing and availability details will be released in the coming months. For the US, Kia will introduce the new Sorento at the Los Angeles Auto Show, an event which opens its gates in November.